(Gustavo Solis, The San Diego Union-Tribune) The federal government is dropping off migrant families at Greyhound bus stations throughout San Diego, and local humanitarian organizations don’t have enough space or resources to care for them. 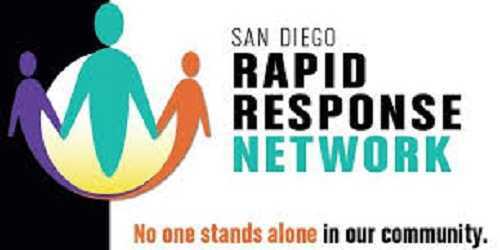 The San Diego Rapid Response Network — a coalition of human rights, service and faith-based organizations — has asked local and regional representatives to help them secure a permanent shelter for the families while calling attention to a GoFundMe campaign with a goal of raising $150,000. The families are seeking asylum in the U.S.
“We can no longer do it alone,” said Norma Chavez-Peterson, executive director of the American Civil Liberties Union of San Diego and Imperial Counties. Since Oct. 25, about 1,700 migrants have passed through the network’s emergency shelters. Because the coalition doesn’t have a permanent location, the shelter has had to move five times in the past six weeks. The asylum seekers are not from the Central American migrant caravans that began arriving in Tijuana in November. The emergency shelter gives families a place to stay, usually for about 48 hours, while they coordinate travel and living arrangements with relatives. It costs about $350,000 a month to maintain, Chavez-Peterson said. The Rapid Response Network set up the emergency shelter when the federal government announced the end of its Safe Release program, which gave migrant families seeking asylum a couple of days to find friends or relatives in the U.S. and make arrangements to join them. Previous Previous post: France’s Macron Finally Breaks Silence After ‘Yellow Vest’ Protests. Here’s What He Said.